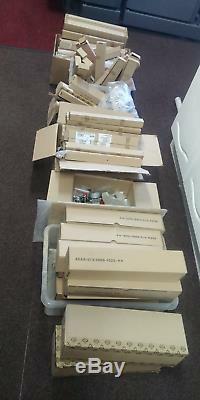 JOB LOT of Konica Minolta Bizhub PRO C500 digital printer / photocopier parts. We used to have 4 of these machines, and have built up a huge collection of parts, that are too many to individually list. 2 x belt cleaning units 65LAR70200. 2 x fuser cleaning roller assemblies 65AAR79800. 1 box of transfer rollers (eg: 65AA26111, 65AA45011, 65AA26040). 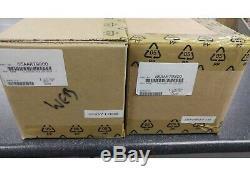 1 box of fuser rollers / fuser webs (eg: 65AA53020). 1 box of paper rollers, roller assemblies, springs, etc. 1 box of various rollers (paper exit rollers, registration rollers). 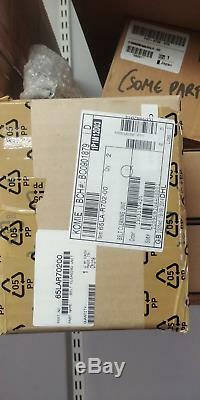 1 box of charge wire (corona) parts and filters. 1 box of'sheet 1 assy' 65AAR75600. If you type some of the part numbers into Google, you'll see how much they're worth. This easily cost us several thousands of pounds over the years. All are genuine Konica Minolta except some of the fuser rollers (which are compatible and work fine). Collection welcome from West Drayton (near Heathrow). Price includes VAT and a VAT receipt will be given. The item "JOB LOT Konica Minolta Bizhub C500 PRO parts transfer / fuser / cleaning etc" is in sale since Thursday, March 7, 2019. This item is in the category "Business, Office & Industrial\Office Equipment & Supplies\Copiers & Copier Supplies\Copier Parts & Accessories". The seller is "originalcopy" and is located in West Drayton. This item can be shipped to United Kingdom.